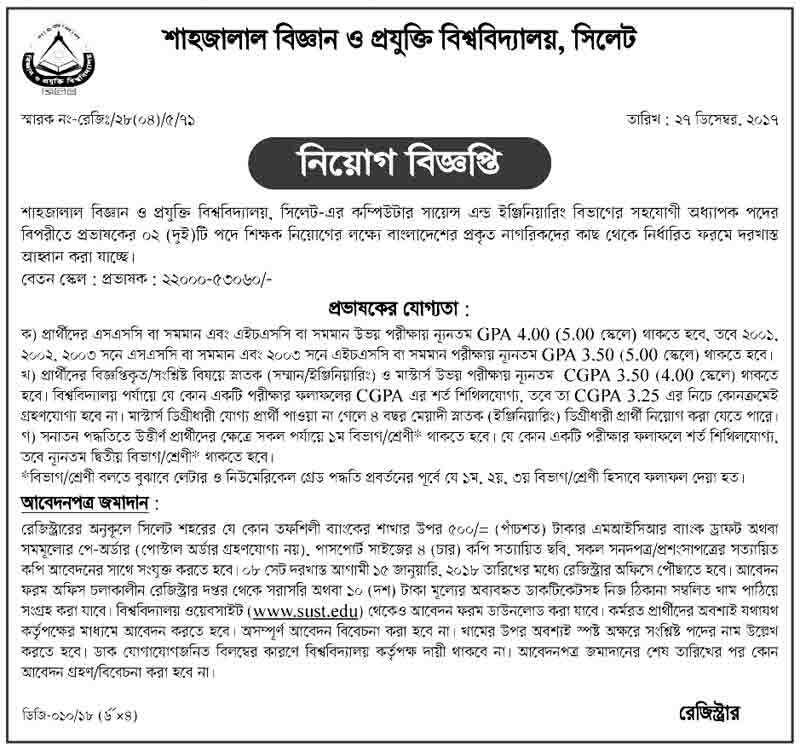 SUST - Shahjalal University of Science & Technology, Sylhet has published a job circular at 'lecturer' post on the national dailies and official website. Honours and Master's minimum CGPA 3.50 . Details on the circular below.